If you have any questions about the SUMMIT ONE information page below please contact us. The spacious superyacht SUMMIT ONE is a motor yacht. 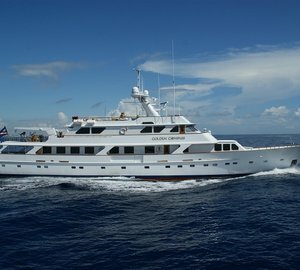 This 44 m (146 ft) luxury yacht was made at Maritima De Axpe in 1976. SUMMIT ONE used to be Lac Iii; Puteri Berjaya; Puteri Sabah Ii; Puteri Sipadan. Superyacht SUMMIT ONE is a nicely styled yacht that is able to accommodate up to 10 people on board and has approximately 10 crew. This graceful boat was designed by a naval architect called Arthur Defever and Sharp Design. Pierre Tanter undertook the interior design. The yacht's general design work came from Arthur Defever and Sharp Design. The technical naval architecture drawings are a work of Arthur Defever. Motor Yacht SUMMIT ONE received her stylish interior designing from the interior design firm of Pierre Tanter. In 1976 she was actually launched with accolade in Bilbao and post sea trials and finishing touches was then delivered to the owner who commissioned her. Maritima De Axpe completed their new build motor yacht in Spain. The main hull was built out of steel. The motor yacht superstructure is made largely with aluminium. With a beam of 7.8 metres / 25.6 ft SUMMIT ONE has reasonable interior. A fairly shallow draught of 2.23m (7.3ft) limits the amount of overall ports she can visit, depending on their minimum depth at low tide. She had refit improvement and changes completed by 2003. The motor yacht contains twin capable CATERPILLAR main engine(s) and can attain a industrious top speed of around 15 knots. The main engine of the SUMMIT ONE produces 725 horse power (or 533 kilowatts). Her total HP is 1450 HP and her total Kilowatts are 1067. Connected to her Caterpillar engine(s) are twin screw propellers. For stabalisers she utilises Vosper. The boat’s impressive cruise speed is 13 knots which provides a range of 2650. Bestowing volume for a maximum of 10 welcome guests overnighting, the SUMMIT ONE accommodates them in style. She also carries around 10 proficient qualified crew to manage. 44.44 metres / 145.8 feet. Total engine power output 1450 HP /1067 KW. Cruising at a speed of 13 nautical miles per hour. Caterpillar 2 times 90 kilowatts. 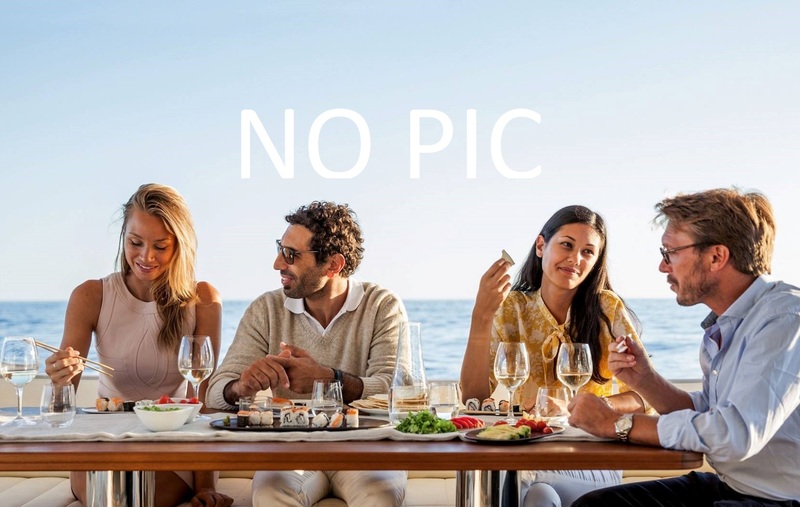 The luxury yacht SUMMIT ONE displayed on this page is merely informational and she is not necessarily available for yacht charter or for sale, nor is she represented or marketed in anyway by CharterWorld. This web page and the superyacht information contained herein is not contractual. All yacht specifications and informations are displayed in good faith but CharterWorld does not warrant or assume any legal liability or responsibility for the current accuracy, completeness, validity, or usefulness of any superyacht information and/or images displayed. All boat information is subject to change without prior notice and may not be current.